Biomedical startup AEvice Health is working on an asthma monitoring device that it’s dubbed KiddyResp. 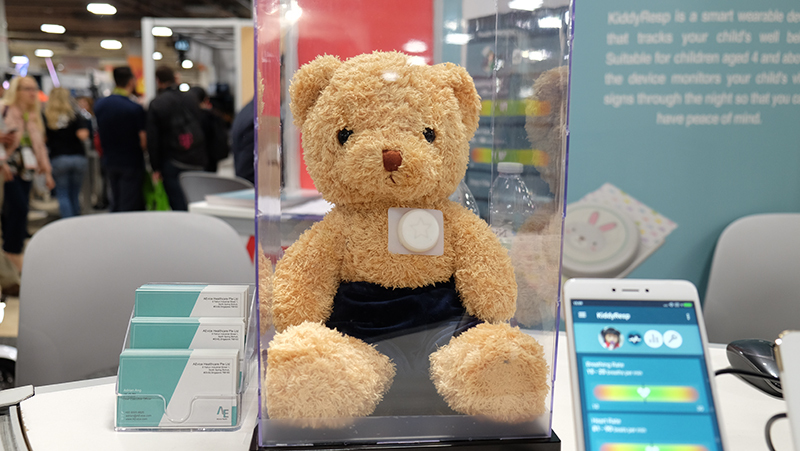 The device takes the form of a small puck that adheres to a child’s chest, and is capable of detecting abnormal respiratory behaviors through things like breathing patterns and cough and respiratory rates. In addition, it can track and analyze a child’s sleep pattern, which can be provided to doctors along with information on temperature, breathing, and heart rate. The device automatically syncs with a smartphone app, and parents will be notified if any anomalies are detected. 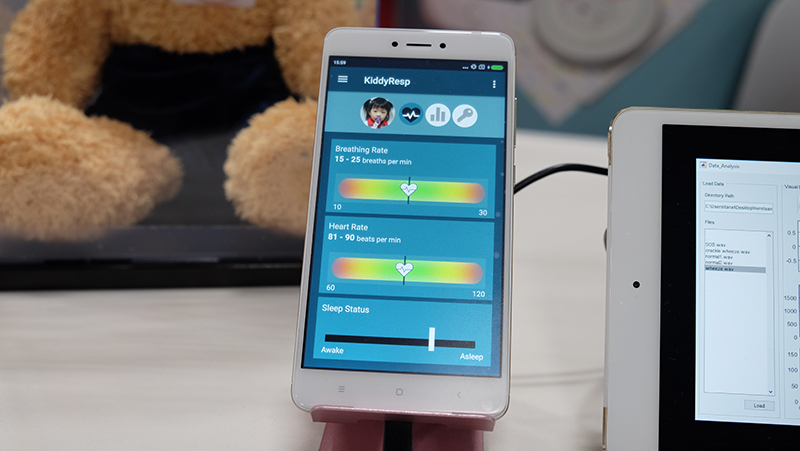 The team of doctors behind KiddyResp thinks the device could come in especially useful in detecting early signs of asthma, which could then lead to better outcomes through early intervention. Founded in 2015, KaHa provides customers with customizable end-to-end wearable solutions at both the software and hardware level. Companies can jump in at any step, so they’re able to use their own designs while leveraging KaHa’s technology. 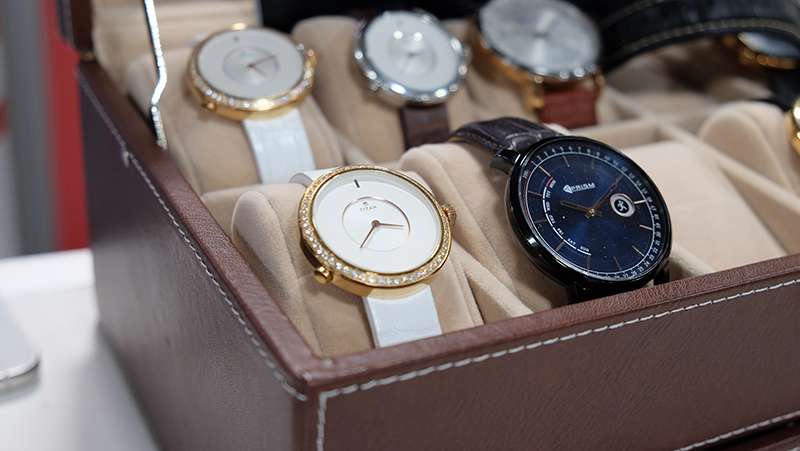 The company unveiled its own Smart Wearable Operating System at CES 2018, with features in areas like safety, fitness tracking, and health. KaHa’s Cove AI platform and machine learning algorithms serve up useful information such as safe routes through unfamiliar cities and can generate safety heatmaps to help visualize safe zones. There’s a social aspect to it as well – for example, you can go on a run with friends on a virtual route plotted through faraway cities. You can set a virtual course through Paris or follow the path of the Kilimanjaro Marathon, and have information on landmarks pop up along the way as you reach distance milestones along your route. On top of that, its health monitoring features let it track your emotional state and offer tips on reducing stress and improving sleep quality. 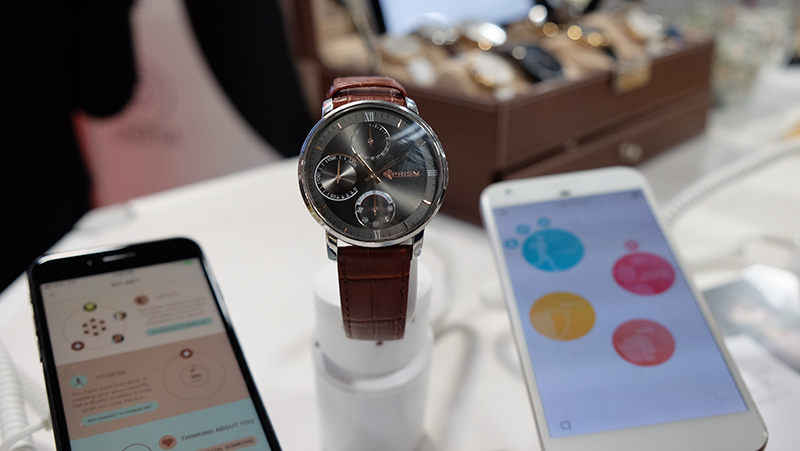 The company already has operations in India, and it’s partnered with Titan, a watch and jewelry retailer that’s part of Tata Group, to provide IoT platform and product development services. Pebby announced its smart robotic pet sitter system at CES 2018, which lets pet owners monitor and interact with their furry friends when they’re away from home. 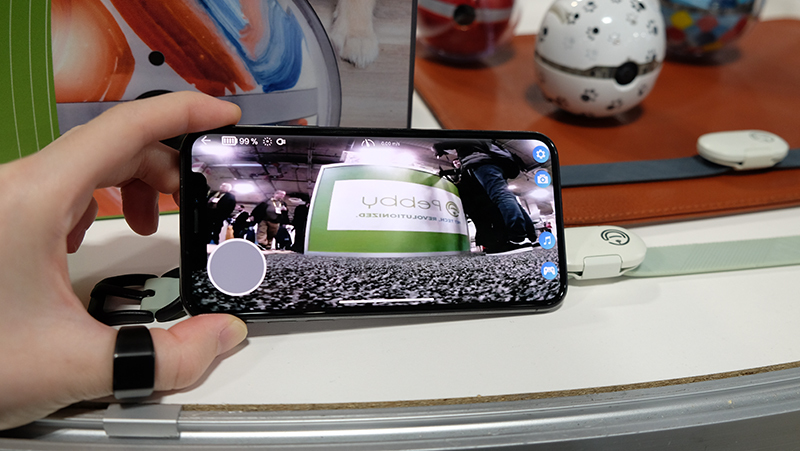 The Pebby Smart Ball features a 1080p wide-angle camera, and can be remotely controlled using the companion Pebby app (available on both iOS and Android). It is powered by four lithium-ion batteries, so it can continue live streaming your pet’s cutest moments for longer. The device is housed in a removable polycarbonate shell, which you can swap out for different designs. It is also equipped with LED lights for seeing in the dark, and glow rims to catch your pet’s attention. Other features include built-in speakers and a safe laser toy to engage your pet while you’re away. The app offers a range of customizations, such as the ability to change LED colors and tweak the speed of the ball. But if you’re too busy, there’s an auto-play function that lets you just sit back and watch your pet interact with the Pebby ball. The app will also alert you when your pet starts playing with Pebby, or if Fido suddenly starts barking. The ball will start shipping in late Q1 2018, after a successful Kickstarter campaign last year that saw it raise over 10 times its original US$50,000 goal. 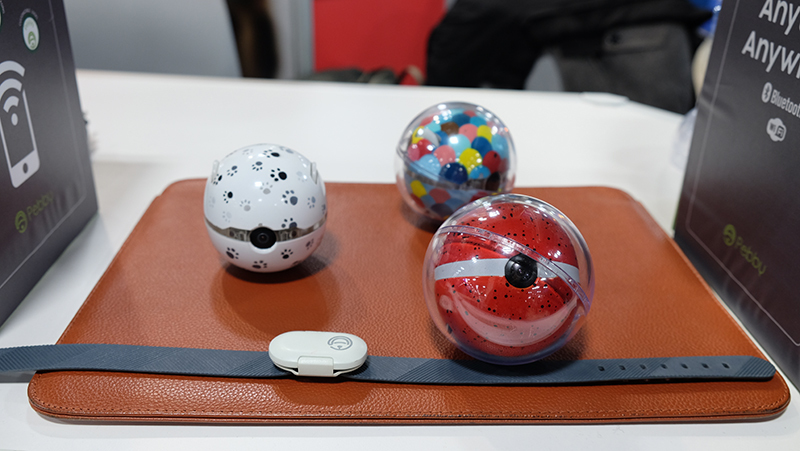 The company also makes the PebbyCollar, a smart collar that syncs with the Pebby Smart Ball to track your pet's activities.